Many people have the experience of mistakenly deleting important files on their iPad. Deleting important files could cause great loss if you can’t recover them. 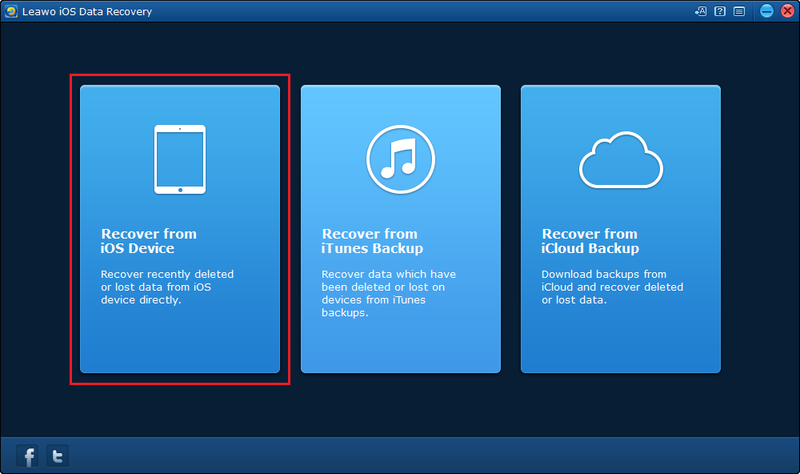 So here’s the instructions for you to learn how to recover deleted files from iPad. 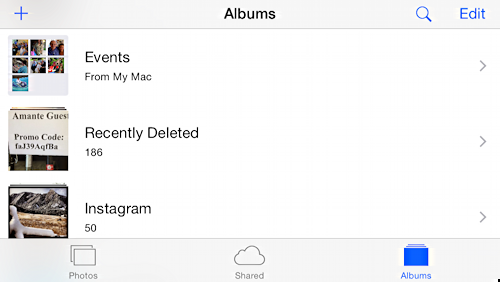 There are apps on iOS that has a folder which works like a Recycle Bin to temporarily store the deleted files. If you mistakenly delete a photo in iPad, there’s a Recently Deleted album in iPad’s Photos app and it would store the deleted photos in it for 30 days before the photo is permanently deleted from your iPad. So if you accidentally delete a photo in your photos album, you can go to the Recently Deleted folder to restore the picture. Just like the Photos apps, the Notes app on iPad also has a Recently Deleted folder to store the notes you deleted recently and it’ll also store your deleted notes for 30 days and after that the notes would be completely deleted from your iPhone. 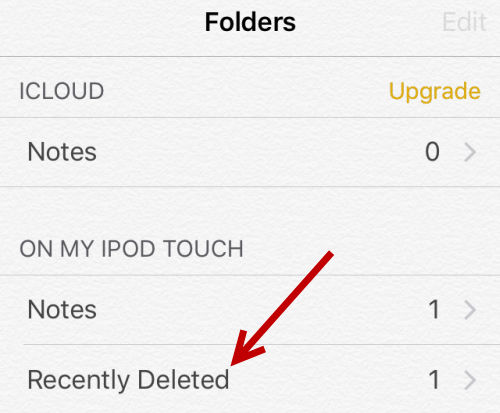 But this Recently Deleted folder is only available in the upgraded Notes app on iOS 9 or later. So if you need this Recently Deleted folder and your iPad supports iOS 9, you should probably update your iOS. Not all the files on iPad have Recently Deleted folders like Photos and Notes. Once you delete them, it’s almost impossible to recover deleted files from iPad itself. But there are a lot of third-party program that can help you with this dilemma. 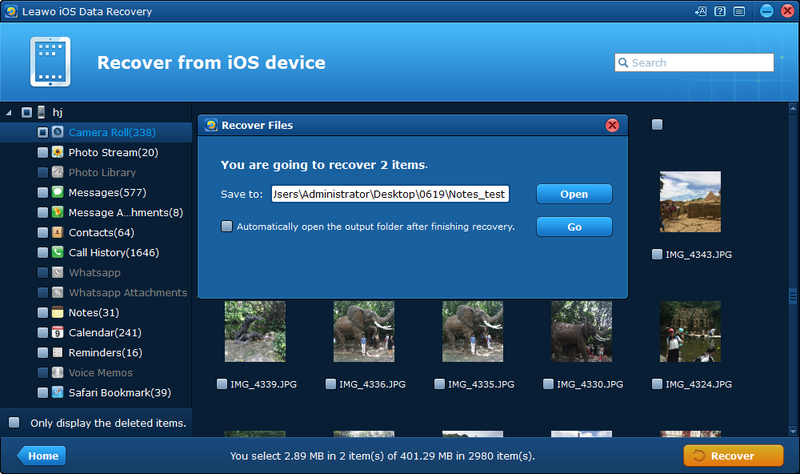 Leawo iOS Data Recovery is a powerful data retrieval program which can help you recover deleted data on iPad with ease. Step 1. 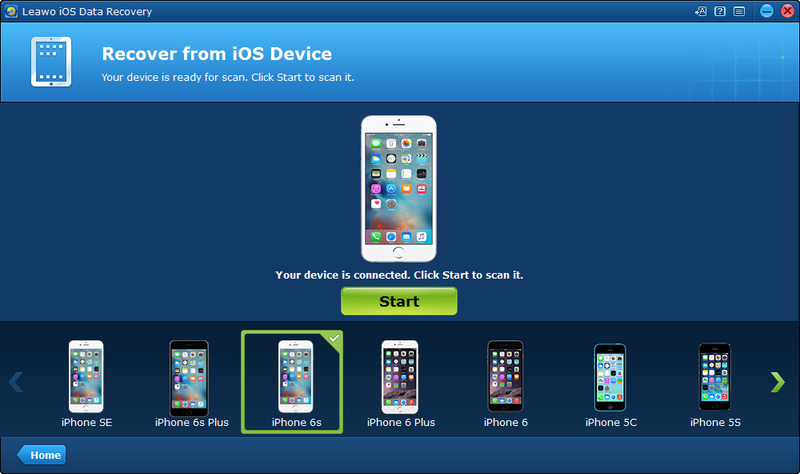 Open the program and on the interface, click Recover from iOS Device. Step 2. Select your iPad on the device list and connect your iPad to your computer with a USB cable. And then click the Start button and the program would scan your iPad. Step 3. When the program finishes scanning, the recoverable data would be listed on the left column, click on the specific types of data to check out the related files. 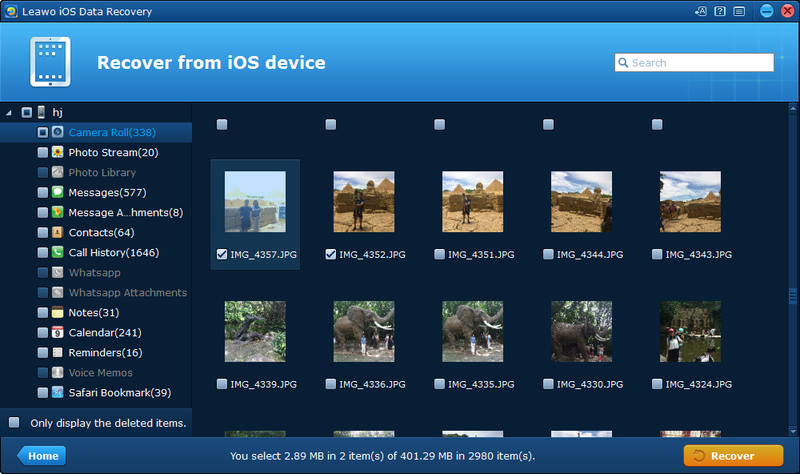 Select the deleted files and click the Recover button in the bottom right. Step 4. On the following popup window, click Open to set the directory for files you’ve chosen to recover, and then click Go to allow the program to start recovering the deleted files on iPad. A lot of people have the experience of mistakenly deleting important files on their iOS devices like iPad, and we might not be able to recover them every time we delete them, so the right thing to do is to back them up in advance.